Why Choose The Solar Scrubbers? The Solar Scrubbers Inc. is a one-stop solution for Operations and Maintenance (O&M) on solar panels, specializing in solar panel cleaning. Keeping solar panels clean, free from shade and in good electrical order are all essential parts of solar panel maintenance. We at The Solar Scrubbers ® have the professionals to see that your panels are clean thus operating that their peak performance. Solar panels work by allowing light into the solar cells. The more light that hits a panel, the more power it will generate. Due to the upwards angle of solar panels, they are more prone to bird droppings and a build-up of general dust and dirt. This reduces the amount of light hitting the panel and reduces its output. 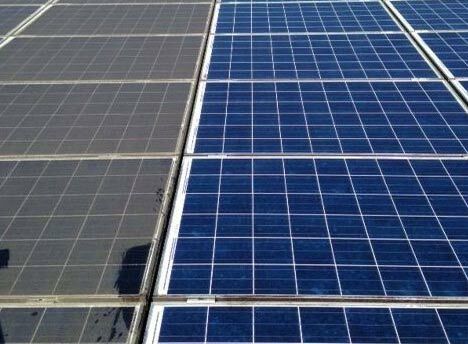 As the projected energy figures claimed by solar panel manufacturers and installers are based on the optimum performance of clean solar panels, this build-up of dirt can adversely affect the panel’s ability to meet those projections. 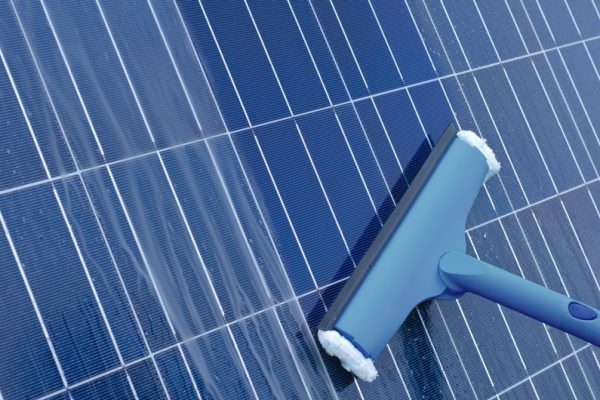 So it is important to clean solar panels in order to protect and maintain your investment. While solar panel cleaning in the United States is relatively new, in other parts of the world solar panel cleaning has been around for a long time. Early adopters of the technology soon realized that if their solar panels were not cleaned regularly, they would not run at their optimum performance. Our professionals use the most efficient way to get the job done right the first time. Keeping solar panels clean and operating efficiently throughout the year saves you money! Not having clean solar panels eventually will lead to damage. Without regular solar panel cleaning your energy production from your panels can decrease by more than 25%. 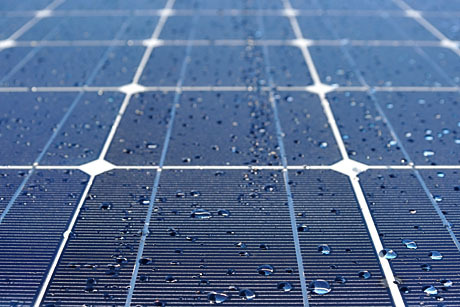 Solar Panel cleaning is essential for optimal solar panel performance and efficiency. Solar panels work by allowing light into the solar cells. The more light that hits a panel, the more power it will generate. Due to the upwards angle of solar panels, they are more prone to bird droppings and a build-up of general dust and dirt. Using high grade equipment and well-developed procedures, we specialize in professionally cleaning solar panels, regardless of the job’s size and requirements. The Solar Scrubbers Inc. has developed a stringent set of procedures, based on our extensive experience in the industry, to ensure high levels of service quality, along with the safety and security of operations. Why Do I Need to Clean My Solar Panels? Did you know that soiling upon a solar panel can decrease its output by 40% or more over time? As they are installed outdoors, solar panels are prone to dust, dirt, debris, and bird droppings, all of which lead to a reduction in the expected output. On an un-maintained panel, the rain will make your dusty panels muddy, collecting more debris and more build up. 3. A Need to Clean! This necessitates routine cleaning and maintenance in order to ensure that the system continues to work effectively.